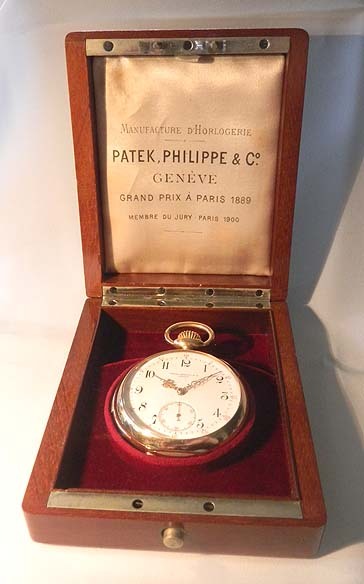 Very fine Patek Philippe 18K gold minute repeater antique pocket watch with original box circa 1892. 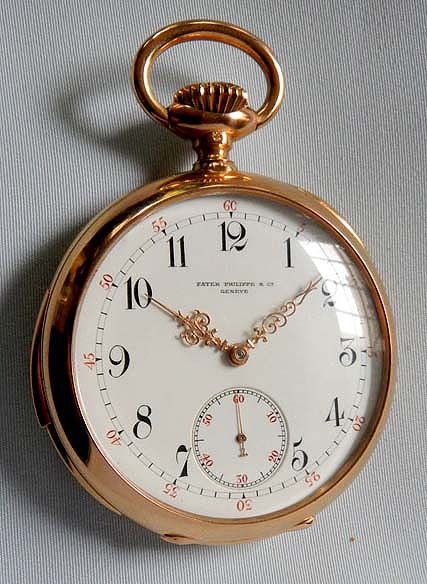 Fine white enamel dial with red and black markings and fancy gold hands. 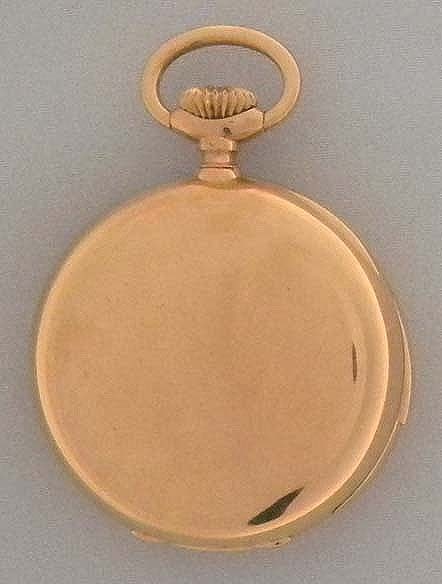 Plain polish case with recessed repeat slide in the band. 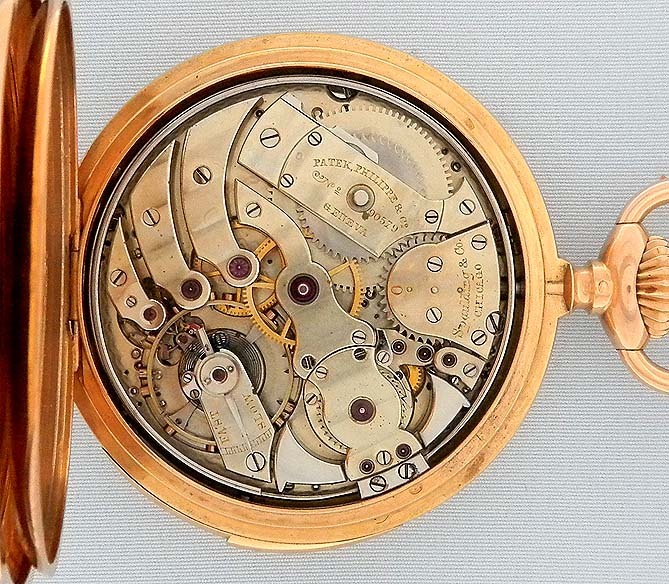 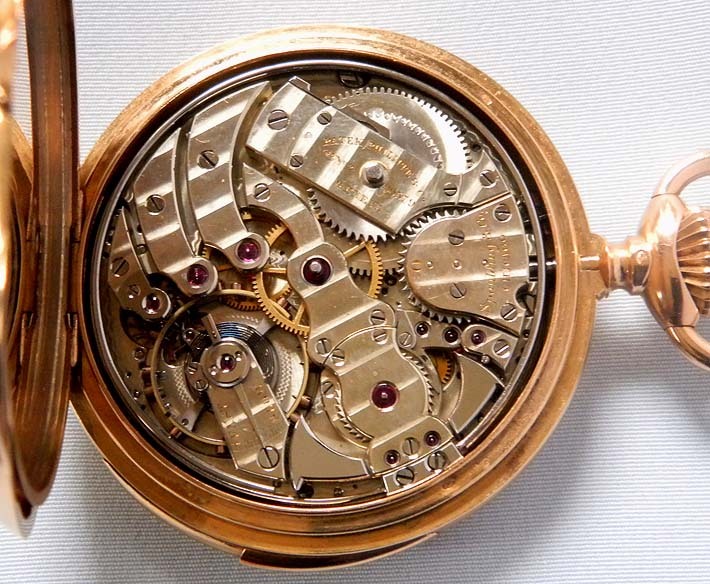 Beautiful estimated 34 jewel nickel movement jeweled to the center and the hammers and with wolf tooth winding. 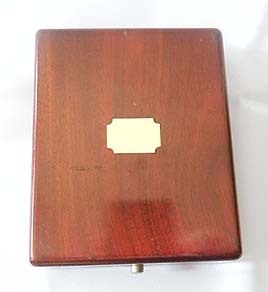 Excellent example.